Last week, total facilities management provider OCS Group, together with its managed services specialist partner eLINIA, won the Enterprise Project of the Year category at the Techworld Awards for the project to move OCS’s IT infrastructure from Crawley to Slough. Mike Simons, editor of Techworld and chair of judges, said that the project’s scale, speed and demonstrable return on investment made it a clear winner. The Techworld Awards, which highlight innovation on all sides of the IT industry, were announced last week at a glittering awards ceremony at Dartmouth House in London’s Mayfair. OCS and eLINIA were up against stiff competition from Aintree University Hospital NHS Trust, the Department for Communities and Local Government, Colchester Hospital University NHS Trust and Arup. 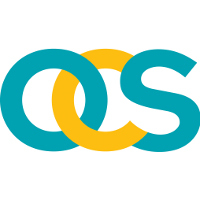 Following a review of its internal IT infrastructure, OCS took the opportunity to invest in IT infrastructure outsourcing when it moved into its new Tilgate headquarters. The project has also been shortlisted for the UK IT Industry Awards, which focus on the contribution of individuals, projects, organisations and technologies that have excelled in the use, development and deployment of IT in the past 12 months. OCS and eLINIA are shortlisted in the Datacentre Project of the Year category. Ten organisations have been shortlisted including Colt Technology Services, Arup, Electrocomponents PLC, International Personal Finance, University of St Andrews and Sudlows. The results will be announced on 14 November 2012.